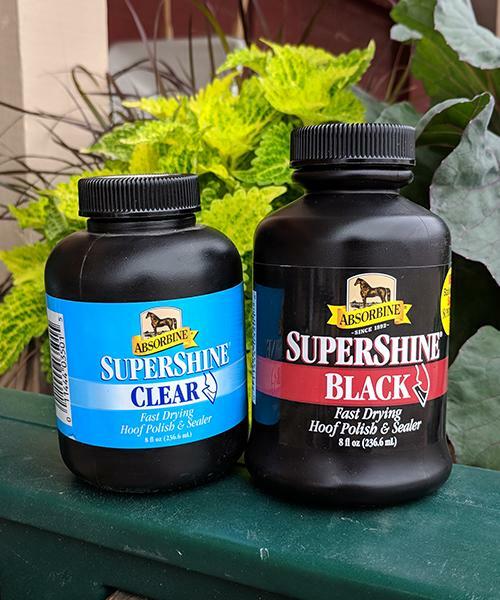 SuperShine Polish is the fast drying hoof polish & sealer that outshines other hoof polishes. Directions: For best results, apply 1 or 2 coats to clean dry hooves. Allow to dry. Available in clear and black. Sold in 8 oz. bottle or by the case (12 bottles).